A few weeks ago, I stopped into Cork Market to buy provisions for a good panini. While there, I was greeted by Sarah of Gordy’s Pickle Jar, offering free samples of some of her pickles. We got to talking, and Sarah explained that they had recently won second prize at the International Pickle Festival, and that they made their pickles right off of U Street. Intrigued, I met up with them last night to talk food in DC, pickles and U Street. Both Sarah and her business partner, Sheila, live in the U Street neighborhood. Sheila has worked at Marvin (and now Blackbyrd Warehouse) since it opened back in 2007. Blackbyrd is now featuring their relish in a few dishes. 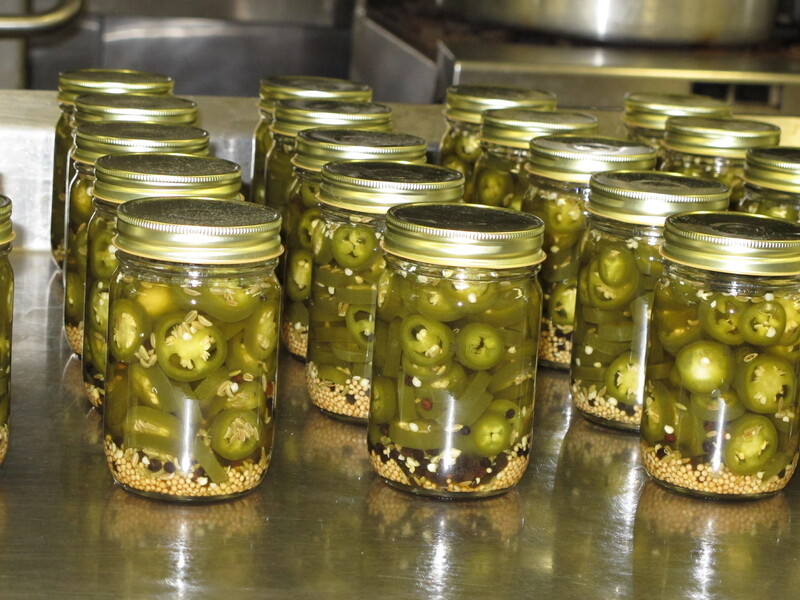 They launched their pickle business at a friend’s wedding in October, giving out pickle jars as wedding favors. The pickles were such a hit they decided to start selling online, and in a few area stores (you can pick them up at Smucker’s Farms and Cork Market in the U Street corridor). Soon they began selling to a few restaurants: you can get their fried pickle chips at Science Club. They are also selling their brine to a lot of area bars for cocktails. Gordy’s Pickle Jar is named after Sarah’s late father – an affectionate tribute to a pickle lover. 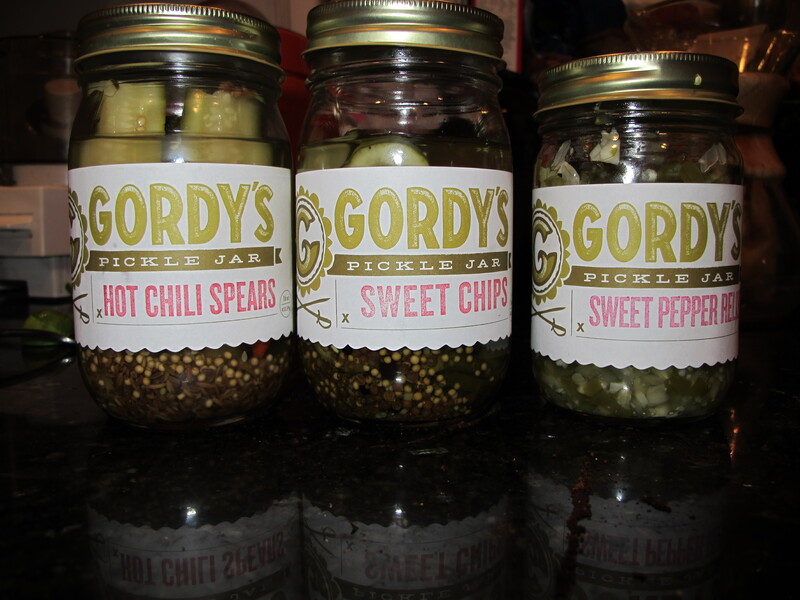 As spring comes along, expect to see Gordy’s at a few area farmer’s markets, as well as some more interesting pickles. While winter has limited them a little bit (they try their best to just use local produce) they are looking forward to experimenting more as more produce becomes in season. The next thing they are working on is pickled fruit, they are currently experimenting on a few recipes. And, if you want to get really experimental – Peregrine will be featuring their brine in their February drink – appropriately named “Love Potion Number Brine.” Sarah and Sheila assured me that it tasted really good, and the savoriness of the espresso was really cut by the refreshing quality of the brine. Check it out!